New from Rio Grande Games is Jump Drive, a 2 to 4 player quick-playing card game set in the Race For The Galaxy universe. In this hand management card game, players will each build a tableau of cards through explore and build actions. Each card played into your tableau develops and engine that increases both victory points and income. 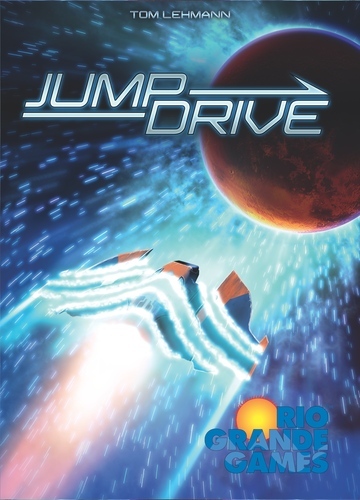 Watch this video by Zee Garcia for more on Jump Drive. Clank! 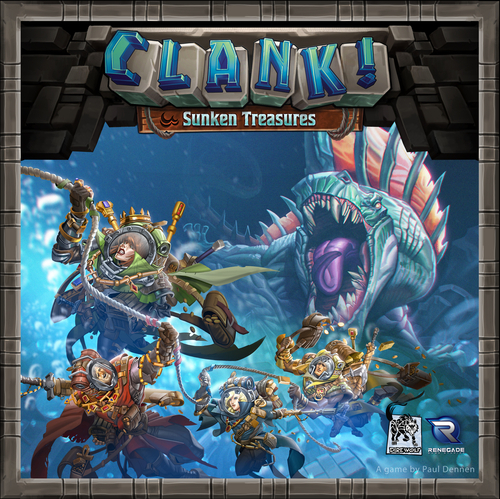 Sunken Treasures is the first expansion to the deck-building game, Clank! The deck-building adventure of Clank! 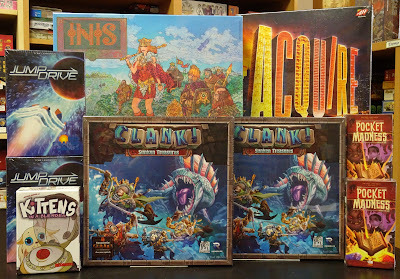 continues - and this time, get ready to get wet! Swim through flooded chambers in your search for great treasure. Recruit new companions for your deck. Fight dangerous new monsters on you way to thieving glory.